I never thought of being featured in any style website or facebook page, but recently, I've been featured in both! *pops confetti* I guess this can be consider as some kind of achievement eh? lol. When I was sitting on the bench at Pavilion after my photoshoot, there's a Korean guy walked towards me and ask whether he can take few shots of my look that day. He said he was from a Korean fashion website and would like to feature some of Malaysian street style snaps. I was like okay, no harm I guess. After few shots, he gave me his name card and website then we said goodbye to each other. About a month later... 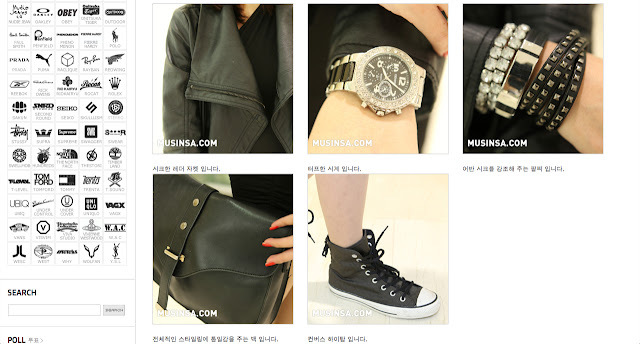 I saw myself on this Korean website called Musinsa.com! 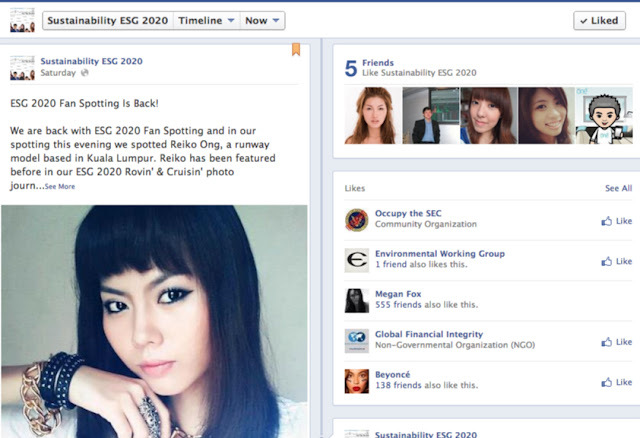 Then today, when I was half awake, I saw my photo featured on a Economy-Social-Governance facebook page. Met with the editor of Sustainbility ESG 2020 during the semi final of AMFA and had some pretty good chat with him. Thanks for featuring me on your facebook page. Appreciate much! HAVE YOU FOLLOW ME ON INSTAGRAM!!! I update on instagram more than I do on Twitter or Blog. January is going to end soon, how's year 2013 treating you so far? Hope all is well to each and everyone of you! Happy Holiday to all Malaysian and Happy Belated Thaipusam to all Hindu friends. Will update my blog again soon, guess what, it's gonna be something sweeeeet!